What do I do if a uploaded PDF drawing file has a status of "ERROR"? 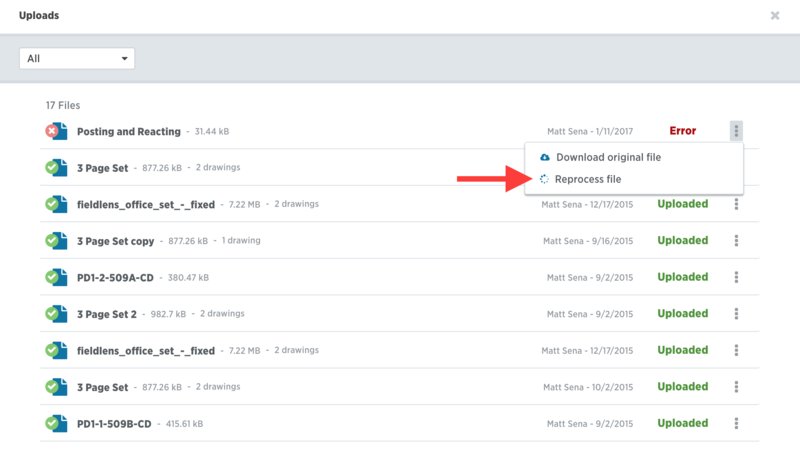 You can reprocess a drawing that is in an "ERROR" state by clicking on the menu to the right of the drawing name and selecting "Reprocess file." If you are still experiencing an error, please contact your customer coach at [email protected] to check on why the file has an error.